Reviews are a very important part of 'discovery' of what game to play. How much more useful would our lists be if we could filter or sort by Metacritic score? Metacritic includes the Critic score which tends to be fairly static after release. There is also the User Score which tends to fluctuate a lot, even years after release, or is subject to review bombing. I would be happy to include both. Potentially, Metacritic scores would sit inside the Infobox, with a link directly to the relevant Metacritic page. The values themselves could be gleaned from Wikidata, or another automated method, or could be entered manually. I am also open to alternative review aggregators and am open to suggestions. I flatly reject this proposal. With traditional reviewers caught in the global pattern of politically-oriented reviews, if a good game happens to run afoul of a reviewer's political leanings, especially a popular one, then it creates a heavily-biased review, which feeds into the Metacritic score. As PCGW is to be politically-neutral, I'd say, for the time being, the inclusion of any Metacritic or Metacritic-equivalent would run afoul of that. If you do plan on implementing scores, I'd suggest also including OpenCritic scores alongside Metacritic, and perhaps avoiding user scores as they can widely vary over time. Opencritic is intended to be a more open version of metacritic, aiming to have the algorithm behind generating the overall score being more transparent, compared to Metacritic which is completely private about how they calculate their score. In terms of worry that adding review scores would potentially add a politicised spin to the site, I think using review aggregators that collate lots of different reviews from critics of all different political leanings, and using several different aggregators that use different algorithms avoids any politicisation. On the other hand, I think leaving out user scores would be best as they can swing so rapidly depending on the politics surrounding any game, shown by how the Stream reviews swing all over the place whenever some drama is stirred up. Just using aggregate critic scores should avoid that. Finally, while I don't think review scores are a vital part to the site, they do go hand in hand with a more wikipedia-minded future. Wikipedia pages for media discuss general reception, notable reviews, and scores including metacritic all the time, so I don't see why this wiki should be any different, especially if it'll help the site grow. 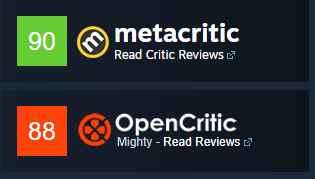 Individual reviewers might write reviews with a political stance, however aggregators like Metacritic and Opencritic normally contain a balance of different opinions. PCGamingWiki is politically neutral, however this shouldn't stop us from balancing this with new features and to make a better resource for PC gamers. 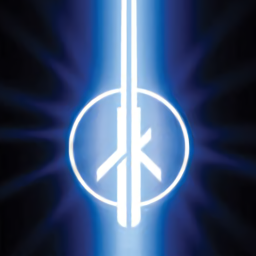 For example Wikipedia PC game articles including a Reception section citing reviews or review aggregators doesn't necessarily compromise its neutrality. Users can choose to ignore review scores on this website if necessary. I am open to Metacritic, OpenCritic and any others. However Metacritic has a lot of old games where OpenCritic doesn't. Older games in mind, maybe Moby Games would be a good place to get review aggregation from. I'm against adding Metacritic or Opencritic scores because the vast majority of outlets issue the same score for all platforms (prominent when the 100-point scale is used), presumably not comparing the platforms extensively, or not much at all. The PC platform universally has lower amount of scores than the console platforms which have roughly 100 ratings for major releases — the Metacritic average also tends to be lower despite objective technical advantages. More significant issue is that practically every publication listed on Metacritic ignores the technical aspect: 30fps lock, locked resolution, mouse acceleration, key-rebinding, available configuration options (if any), gamepad-friendly HUD, mismatched X and Y sensitivity are so rarely mentioned that I might as well say that they never are. I skimmed through every English review for Alice: Madness Returns (when online, some pages haven't been archived by archive.org) and the game's 30-fps lock was never noted.